We were deeply saddened to hear that the founder of the Danish Suzuki Institute, violinist and Suzuki pioneer, Tove Detreköy, passed away peacefully on December the 21st 2018. Tove and her husband Béla († 2017) worked as pioneers of the Suzuki method, helped establish the foundation of the Suzuki movement as it spread throughout Europe, and they were founding members of the European Suzuki Association. The structure of this organization would not have been possible without their tireless commitment and support. For decades, they generated major impulses toward the development and the adaptation of this method to European musical and educational conditions. In particular, Tove Detreköy was a permanent supporter of ongoing attempts to set up Suzuki’s concept in many new countries. 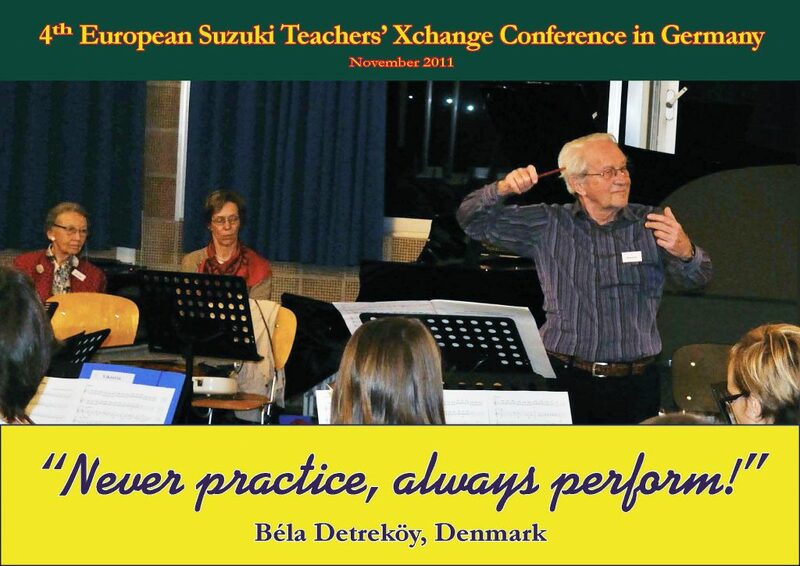 When the German Suzuki Association was founded in 1983, Tove came regularly for almost 20 years as a teacher trainer, master teacher and ESA examiner to Germany. Tove stood for quality and excellence. We owe her a lot. She was an inspiration for us. Tove’s personal appeal, that teachers first and foremost adopt Suzuki’s basic values and truly live his philosophy, is unforgettable. These values should not only be talked about, but lived as a reality. 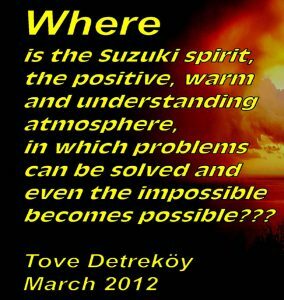 During the last few years, Tove had become more and more concerned about the decline within the European Suzuki Association, the organization she co-founded and helped to shape. She was very saddened to see ESA representatives trying to eliminate good forces and to value money and trademark rights higher than Suzuki’s mission and philosophy. 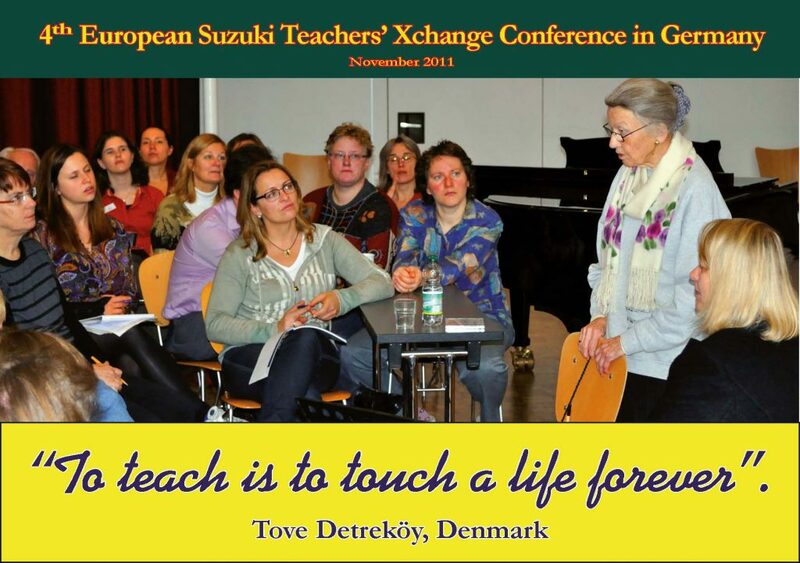 Therefore, in an open letter to ESA, she wrote the following warning words to remind us of our role as Suzuki teachers. Dear Tove, thank you for your courage and your tireless efforts! Your life’s work should be our example and reminder not to lose sight of the essentials! I re-visited this website by chance today, after receiving an e-mail enquiry about something I wrote in my book Not by Love Alone about Suzuki Shin’ichi, where I also referred to Kerstin Wartberg. So sad to hear about Tove Detreköy’s passing! I interviewed her and the late Béla Detreköy for my article on Suzuki, and they were exceptionally kind to me. Others are in a better position to talk about their pioneering work in Denmark, but they continued to teach when they were well past the age when many people retire, and I loved to see them lead the procession of young violinists in the second half of the Danish Suzuki Institute’s yearly concert in the Tivoli Gardens‘ concert hall. What dedication and how much joy it must have given them to see the fruits of their work!